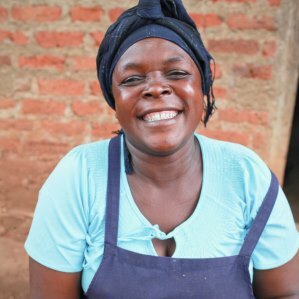 Meet Jane, our famous Chapati Maker in Mawanga! 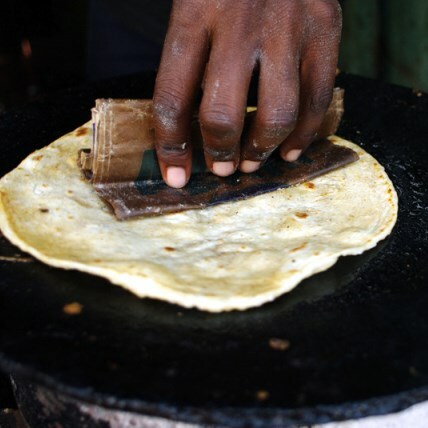 Chapati is an unleavened flatbread that is a common staple of cuisine in Uganda. 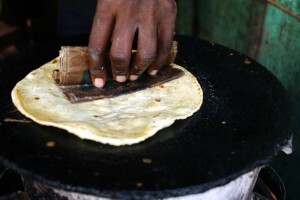 Chapati is also commonly eaten in Pakistan, India and Nepal. Mix the flour, water and salt together. The dough should be soft, but not sticky. (add more flour or water as necessary). Knead dough with hands. Roll into small balls and roll out thin. Heat a frying pan with cooking oil. Cook on pan until one side has brown spots, flip over and cook on other side until it has brown spots.